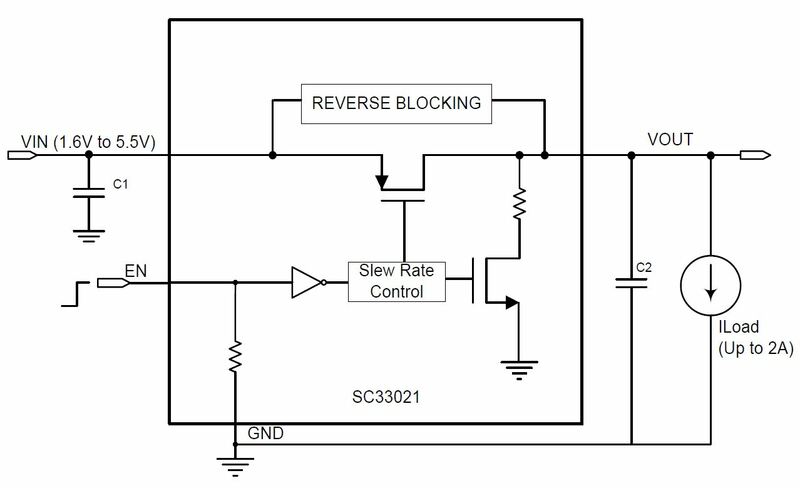 The SC33021 is an integrated 2A Load Switch with reverse current blocking. It operates from a 1.6V to 5.5V input supply. The SC33021 includes an automatic output discharge. CSP – 0.9mm x 0.9mm 4–Bump - 5,000 pcs, tape and reel only. SC33021CSTRT - Lead-free package only. Device is WEEE and RoHS compliant, and halogen free.